Sandblast an old facade? Restore a historic building, a mansion, a monument or a church to its former state? Maintain bridges and electricity pylons? 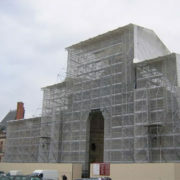 Depending on the application, scaffold nets are indispensable. 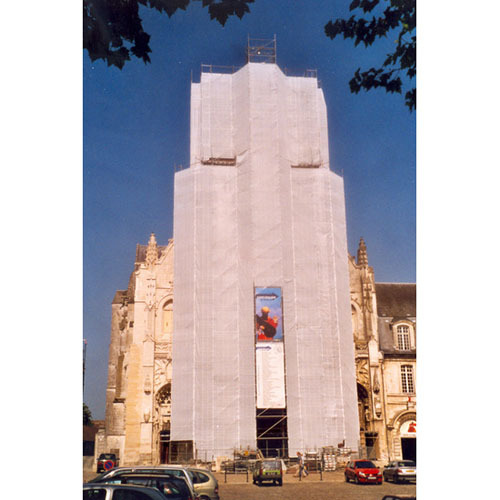 They are attached in front of the façade to the scaffold where they prevent debris, dust and other unwanted materials from falling down. 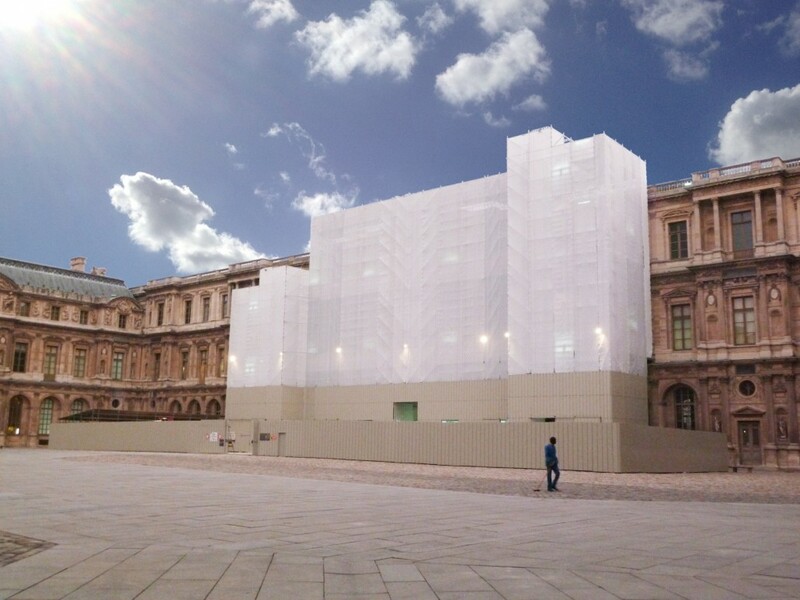 This way, both passers-by and the surroundings are protected during all kinds of construction, (façade) restoration and industrial treatment works. 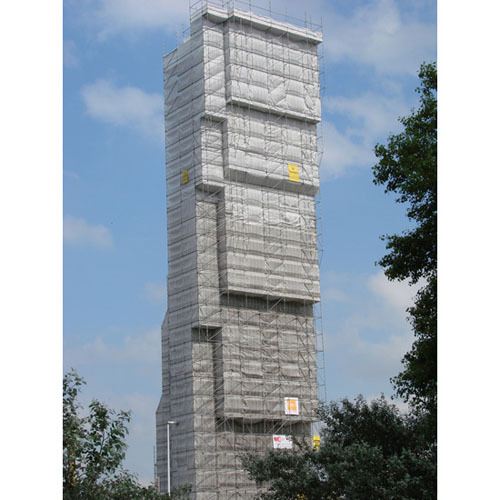 In construction, fine-woven and fine-meshed scaffolding nets are used every day by contractors, scaffolding firms and façade cleaning firms. 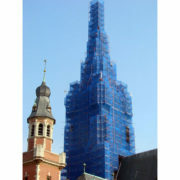 In renovation and restoration and also in new construction. 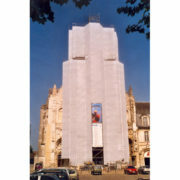 From insulation to cleaning and facade finishing. Depending on the nature and duration of the works, you can opt for a light or heavyweight version. 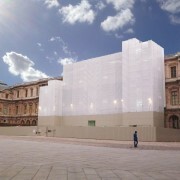 The first version is referred to as fine-woven nets, the second as fine-meshed nets (or sandblasting nets). The difference lies in the wind penetration. Fine-woven nets have a 50%-80% wind penetration, while this is 10% in fine-meshed nets. Fine-meshed nets – or sandblasting nets – ensure that the surroundings of the construction site remain free from dust, sand or other materials when cleaning, restoring or working on facades or other constructions. These scaffold nets are available in fire-resistant quality as well. 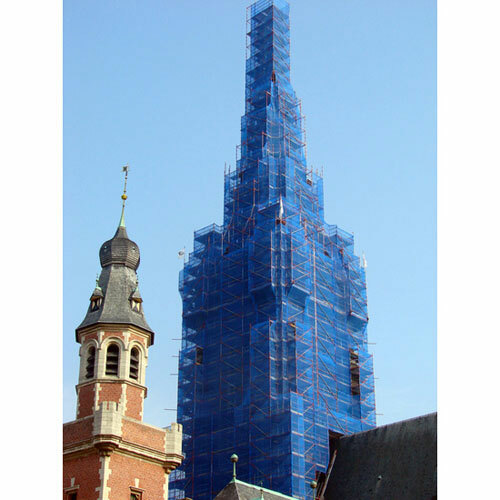 Fine-woven scaffold nets are used on sites with a risk of falling debris and other larger materials.